Obviously, we love seeing our favorite comic book heroes in…well…comic books. But there’s something to be said for adapting those characters into different mediums, exposing them to a wider audience. And believe it or not, mediums other than Tentpole Movies exist! 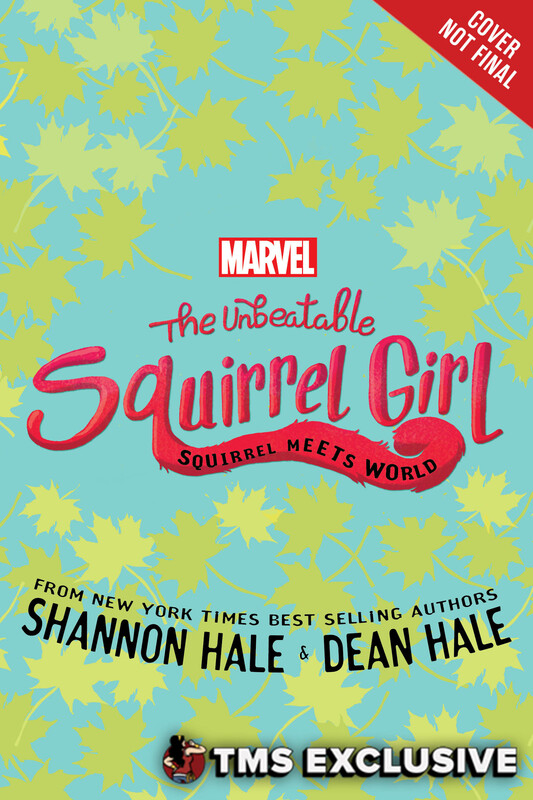 In the case of Doreen Green, aka The Unbeatable Squirrel Girl, what better way to introduce her to girls who might not be reading comics than in a YA novel? Answer: there isn’t one. Marvel Press was kind enough to send us an exclusive first-look at the first few pages of Squirrel Meets World. Check it out! Judging by what I’ve read so far, the Hales really have a handle on Doreen’s voice and sense of humor, not to mention the vibe Ryan North and Erica Henderson have established in the comic. I’m totally hype for this! The Unbeatable Squirrel Girl: Squirrel Meets World will be released in February 2017.